You can tell a lot about a person by walking into their home and looking around to notice the carpeting, furniture, paint colors, and objects of art (or lack thereof) around the rooms. Home décor matters. It helps show others who you are and what you’re interested in. It’s also a way to surround yourself with things you like that make you feel good living there. Style is all around us; why not make our homes look a way that reflects our own personal style, right? Recently, a little girl visited a house and upon seeing the living room exclaimed to the adult, “Are you rich?” Interestingly, the room was decorated with items from discount stores and garage sales, yet it had the appearance of affluence. When the arrangement of objects in a room is done well, and there are unique and colorful things to look at, chances are visitors will be impressed. It’s always nice to have visitors comment that they “love what you’ve done with the place,” isn’t it? People want to be proud of their homes and show them off. Payne Creations helps decorate homes with gorgeous hand painted ceramic tile art and murals. These artistic pieces garner much praise from homeowners and visitors alike. 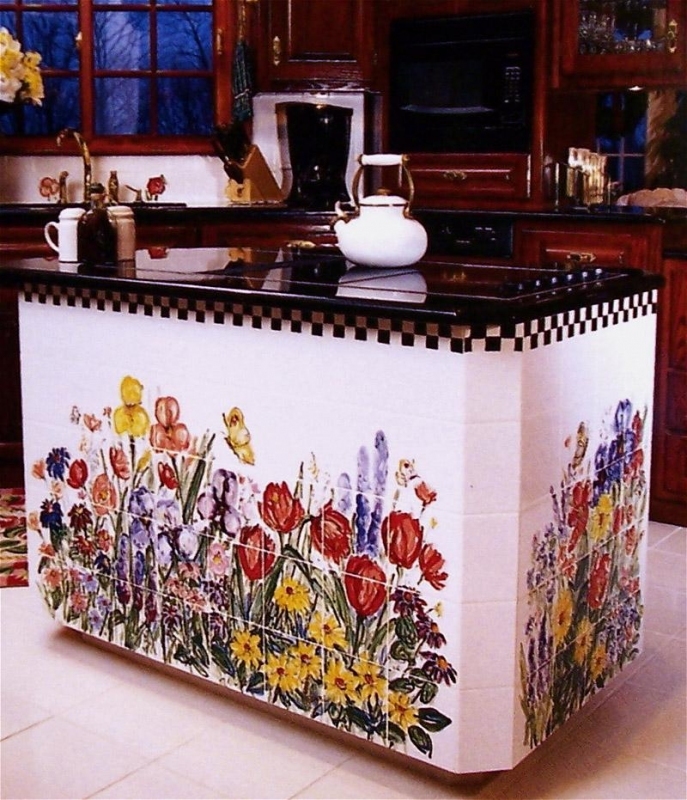 Adding hand painted ceramic tile art to key places in a home, such as the kitchen backsplash, can really make a place “stand out” from other homes. In addition, Payne Creations is able to utilize designs distinctively personalized to the homeowner’s desires. People are unique, so the artwork in their home should be, too. If you’ve been thinking about improving and/or updating your home décor so your home looks its best, consider hiring Payne Creations to help give you artistic looks like you see in Better Homes and Gardens, House Beautiful, and Country Living— all of which Payne Creations’ work have been featured in! Call 816-452-8660 to discuss dynamic home décor ideas today.